RIM has confirmed that it has had an outage at one of its BlackBerry servers, which has taken BBM, internet and email offline for millions of its users. The outage began at 11am Monday and is still affecting users at the time of this article's publication. The server that went down is thought to be situated in Slough and is affecting the EMEA region, which comprises Europe, the Middle East and Africa. There are also reports that the main server in Canada, where RIM is based, may also be affected. A RIM spokesperson said about the outage: "We are working to resolve an issue currently impacting some BlackBerry subscribers in Europe, the Middle East and Africa. "We're investigating, and we apologise to our customers for any inconvenience caused while this is resolved." 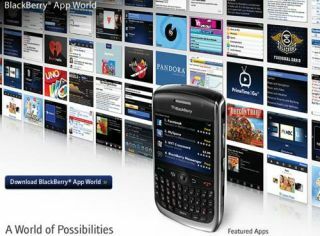 RIM has not confirmed the reason for the outage but the Guardian has spoken to a former employer who believes that strain from an increase in BBM users over the last few years and scalability of the server could well be to blame. BBM was in the news last week, when TechRadar exclusively revealed supposed screenshots of the service working on Android.